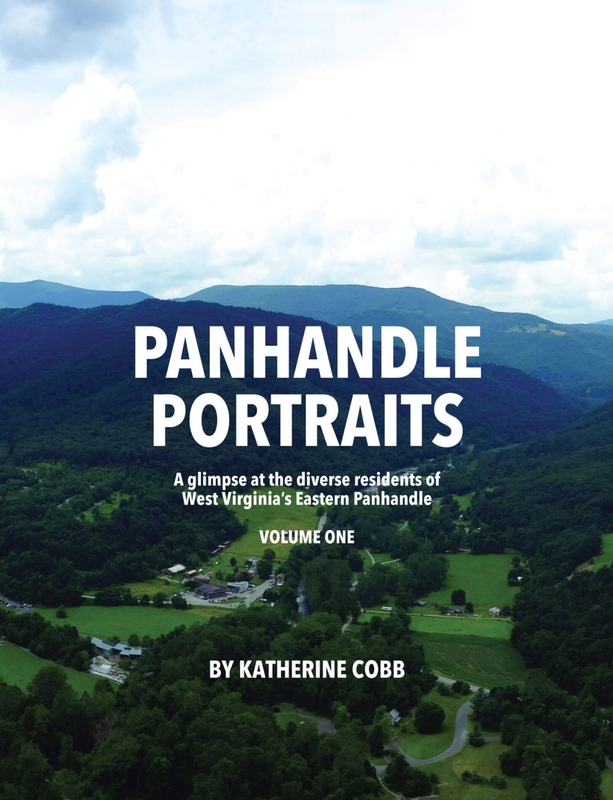 CHARLES TOWN, W.Va. — Local writer Katherine Cobb announces the release of her new nonfiction coffee-table book set, Panhandle Portraits, a Glimpse at the Diverse Residents of West Virginia’s Eastern Panhandle, which features compelling portraits of West Virginians and their unique characteristics in two volumes. The two-volume, 176-page set contains 77 portraits, with some photos featuring more than one person, plus an introduction, index and panhandle fun facts. The project blends Cobb’s loves of writing and photography in one. She traversed all eight counties of the Eastern Panhandle — Berkeley, Grant, Hampshire, Hardy, Jefferson, Mineral, Morgan and Pendleton — to find subjects to portray. Panhandle Portraits features athletes, historians, doctors, artists, craftsmen, entrepreneurs, adventurers, volunteers, farmers, pastors, mavericks, business owners, beloved community members, trailblazers, survivors, mentors and leaders. Cobb is known for her nonfiction contributions to publications throughout the mid-Atlantic region, including her award-winning monthly editorial column for The Journal and her young adult novel, Skyline Higher. She also contributes a rotating column about addiction to The Observer. Readers can connect to Cobb through her website, http://www.katherinecobb.com. Panhandle Portraits is available in paperback through Amazon.com, and will be stocked at some bookstores and gift shops throughout West Virginia. Cobb will sell the companion volumes at the upcoming Christmas Marketplace at Charles Town. Vendors will be scattered throughout the historic downtown area and Cobb will be at Sugar Whipped, located at 307 W. Washington St., on two dates: November 26 and December 3, from 10 a.m. to 4 p.m. On December 4, she will be at the Lost River Trading Post in Wardensville, W.Va., from 11 a.m. to 2 p.m. Pre-orders are strongly recommended.